Too Much Information!! | Get Lifted Girl! First, let me admit that I am part of the inspiration for this post. I hope that my efforts to inspire and uplift my sisters never comes off judgmental as if I have this life thing on lock because believe me, I don’t. That being said, I wouldn’t dare broach this topic without admitting that I have struggled to manage intermittent bouts of verbal diarrhea myself and it is indeed a sickness. I must consciously follow a treatment plan to keep ill-chosen words from contaminating my relationships and infecting my ability to influence and encourage others in a healthy manner. Let’s face it, I didn’t become a counselor and a writer because I’m at a loss for words. I’m one of those people that always has something to say and it’s been a struggle for me to yield to others, particularly my husband, when I have a strong opinion. I know I’m not alone in this, so I figured it may help to discuss the joys and perils of self-expression. It’s one thing to be able to say what’s on your mind, but quite another to know if it needs to be said. 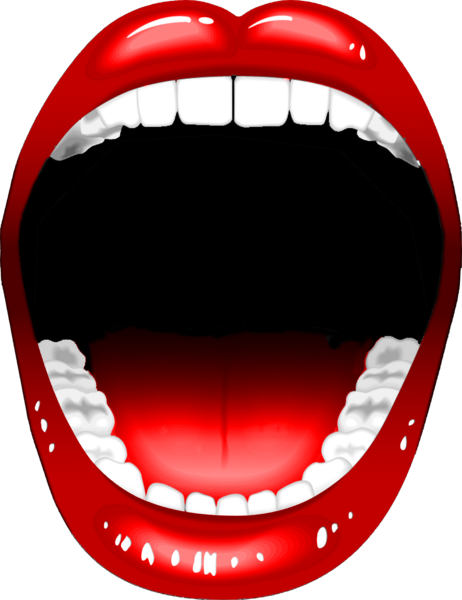 Many women have the unfortunate reputation of being “all mouth.” It’s one of those stereotypes that lingers in the wake of the feminist movement because woman have had to fight so hard to even have a voice at all. The idea that women “talk too much” is most likely rooted in male chauvinism and fear of women taken their rightful place in our male-dominated society. “Women don’t know how to shut up,” is a prejudicial minimization of the female voice that hurts all women. Yet these types of sweeping generalizations about the unbridled female tongue, have been particularly damaging to women of color, namely Black women. Black women are often labeled loud, sassy, full of attitude and, of course, mouthy. (RIP Sandra Bland) We are often stereotyped as the neck-rolling, hand on the hip, angry women with verbal arsenals that can emasculate even the strongest man in no time flat. Of course, this is a stereotype that has never applied to all Black women. Yet perhaps it’s the behavior of the few it does apply to that makes this stereotype so easy for the narrow-minded to stand firm in their bigotry. Verbal impulsivity is not really the badge of honor we make it out to be. Sure we like to use phrases like, “I’m keeping it one hundred,” or “you know I always keep it real,” but far too often what we have to say is not only hurtful to others, but unnecessary and self-sabotaging to our own progression and personal development. Too many of us are far better at talking than we are at listening. Talking too much can indicate personal deficits including poor interpersonal boundaries, weak communication skills, impaired self esteem, or in my case, over-confidence, pride or (dare I say) ego. Why listen to what anyone else has to say, if you already have all the answers? You may fancy yourself a wordsmith who always knows the right thing to say, but don’t be surprised if the people in your life don’t admire your gift of gab nearly as much as you think they do. The following are some signs that it may be time to sit down somewhere and shut up! Ever wonder why people don’t come to you for advice or feedback like they seem to do others? Well, it’s probably because you’ve already given your two cents plus ten more dollars on every conceivable topic of conversation. You never miss an opportunity to rant on Facebook, call everyone and their mother’s uncle about how you feel about the latest gossip, or pen your personal manifesto in every comment section on the internet. You have made your stance on ever controversial issue abundantly clear to everyone whether they have asked for your opinion or not. Yes, being opinionated is a respectable quality, but there is a time and a place to express your beliefs. Others lives will go on even if they don’t know where you stand on every hot-button issue. Your opinion might actually carry more weight if it wasn’t slapped upside everyone’s head all the time as opposed to being organically solicited. It may seem like you’ve got the perfect relationships because everyone always ends up seeing things your way. Well, it may not be that you’re actually right about everything, but could mean that everyone has simply waved the white flag of surrender when it comes to your mouth. You have mowed everyone down with your suggestions, thoughts, instructions, and plans for so long that they’ve decided it’s just easier to let you have your way than to subject themselves to any more of your reckless verbalization. They may be letting you have your way just to get some peace and quiet. We call this in the counseling field, piss poor boundaries. Are you the type that has a new best friend every month? You seem to “bond” immediately with total strangers and usually over tragic historic events such as grief, childhood abuse, drug or alcohol addiction, abusive relationships, or financial difficulties. I’m not saying that this type of bonding is not possible or even healthy occasionally, but if everyone you meet is invited into the most intimate parts of your life and history before you even know their phone number by heart, then you might just be talking too much in an effort to feel accepted, validated and “loved.” If you need this type of approval and understanding from a total stranger then you likely suffer from low self-esteem and co-dependency issues. People should earn this type of information by proving themselves to be trustworthy and valuable in helping you through difficult situations. For most healthy people, hearing such disturbing information about you right out the gate would raise a red flag that you are possibly emotionally unstable and needy. However, if hearing about how heavy you bleed each month or how you’re fresh out of drug court means nothing to your new bestie, then both of you probably have some issues. Try being more reserved and letting relationships unfold at a slower, healthier pace rather than posting your inflamed toe jam on your new BFF’s Facebook timeline. There are some things other people don’t need to know! It would be far better to find out someone is crazy or willing to put your business on front street before you’ve told them your life story in all it’s graphic glory, don’t you think? Being a good conversationalist is good in most situations and can help us in our careers and relationships, especially at the onset. The verbally prolific are great at breaking the ice, putting an end to awkward silences, and can take the pressure off of those who would rather not talk. Though initially there may be less pressure from others to get a word in edgewise, your loved ones will eventually grow tired of not being heard. It is frustrating for people who feel they must engage in a war of words each and every time there is something important on their mind. If you are always cutting other people off, talking over others, and never even bothering to take a breath when someone else desires to speak, then the patience of those in your life may be wearing thin. You may pride yourself on always winning debates, but you don’t want your loved ones to become so desperate to say something that they opt out of their relationship with you just to experience their own voice again. It’s great to always be the winner, but not so great when you always end up playing alone. Don’t get me wrong, talking is wonderful and we women have a powerful voice in this world that has the authority to speak life into others. Healthy communication is what good connections are made of. Yet, if your words are not balanced with discernment, listening, and learning, then you might just be talking to hear yourself talk. There’s nothing worse than a mouth that constantly runs but never says anything of value. The next time you get it in your mind to drop some knowledge or “keep it one hundred,” be sure it even has to be said. Your friends, family, and weary jaws would probably appreciate the rest. < Previous Ready, Set, Fro!